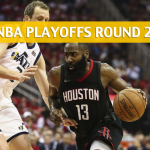 The Houston Rockets comfortably beat the Utah Jazz in Game 1, with James Harden playing like the reigning MVP that he is. The Jazz have some homework to do if they want to even the series up this coming Wednesday. 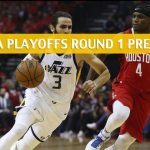 Will the Jazz get back at Houston? 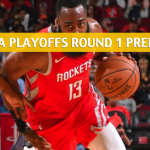 Or will the Rockets zoom to a 2-0 series lead? 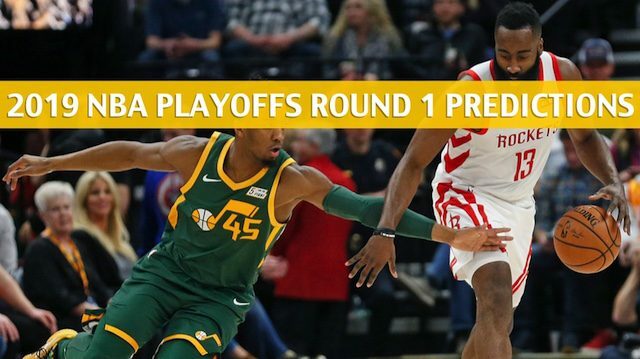 Going into the game, NBA futures give the Rockets +350 odds to win the Western Conference and +800 odds to win the NBA Championship, while the Jazz are long shots, priced at +4000 to win the West and +8000 to take it all at the end of the 2018-19 playoffs. 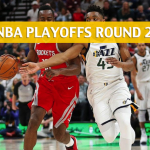 It was not the outcome the Jazz expected in Game 1 of the series last Sunday, but at least they’re just a game behind. Utah lost to the Rockets in the series opener, 122-90, a setback that can mostly blamed to their inability to thwart James Harden’s offense (more on that later). The Jazz didn’t help themselves by shooting poorly. They made just 39.0 percent of their shots from the field and went 7-for-27 from behind the arc. The backcourt tandem of Ricky Rubio and Donovan Mitchell combined for an efficient 12-for-29 shooting for 34 points. Utah may want to give their big men more shots next time around. Rudy Gobert had 22 points on 8-for-10 shooting in Game 1, while Derrick Favors was 5-for-8 for 13 points. Mitchell and the Jazz also need to cut down on their errors. They had 18 turnovers, with the Rockets scoring 24 points off of those errors. Utah is 6-4 against the spread (ATS) in its last 10 road games. Utah is known for its stout defense that’s mainly anchored on the team’s ability to lock the paint, but the Rockets didn’t seem to mind it at all. 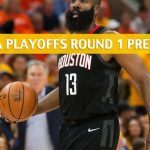 Chris Paul and James Harden waltzed into the shaded area numerous times in Game 1 and either scored on their own or threw perfect lob passes to Houston’s big men. The Rockets scored 62 points in the paint in that game to just 42 by Utah. Paul finished the game with 14 points and seven assists, while Harden had 20 points and dished out 10 dimes. Clint Capela and Kenneth Faried are athletic bigs that are making Utah’s frontcourt get headaches. Faried was a frequent recipient of passes inside for easy scores, as he came up with 11 points on 4-for-5 shooting. 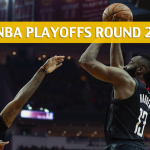 There’s nothing significant the Rockets should do change heading into Game 2. So long as they are hitting their shots from deep, Utah can’t pack the paint and gang up on Paul and Harden. In Game 1, the Rockets hit 15 3-pointers and shot 50.5 percent from the floor. The Rockets are 5-0 ATS in their last five games at home.